Did you file Chapter 13 to save your house from foreclosure? Making payments to the trustee to catch up on the mortgage? If you haven’t claimed a tax deduction for the plan payments that go to the lender, you’re leaving money on the table. That’s money that fattens Uncle Sam’s coffers at the expense of your own. You don’t really want to do that, do you? If your Chapter 13 plan is getting you current on your home mortgage, the plan is funneling a part of each month’s Chapter 13 payment to the lender. Missed mortgage payment are largely interest, unless you are years in to a fully amortized loan. So when your Chapter 13 plan proposes to get current on the loan through payments to the Chapter 13 plan, you’re proposing to pay the interest due. The tax benefit in homeownership revolves around the fact that mortgage interest is deductible if you itemize your deductions. Interest paid reduces the income on which you pay tax. And, you don’t forfeit that tax benefit when you file Chapter 13. Yet, for reasons I cannot explain, mortgage lenders seem to have gotten a pass on the reporting requirements that govern non bankruptcy payment of interest. They don’t report to the IRS and to you, the ultimate payor, the interest paid through the bankruptcy plan by means of a 1098 form. To claim your deduction, you’ll have to dig a bit. All Chapter 13 trustees now have websites where you can access a report about distributions made to creditors by the trustee. You may have to figure out whether the proof of claim for the mortgage loan was filed by the original lender or by the servicer, or sometimes by the trustee of the Wall Street trust that owns the note. The claim usually stands out because it will include the total balance owed on the loan. Buried in that mass of numbers will be the amount paid to the mortgage lender. Make sure to print out the reports that show the amount. Since the IRS didn’t get a copy of a 1098 showing payment of mortgage interest from the lender, you may have to back it up from your files. If you’ve been in your plan for several years, think not just about the return due soon. Consider amending earlier returns to claim the deduction, and get a refund of what you overpaid in taxes. You get three years from when you filed the tax return to amend it. The IRS has a handy, dandy fact sheet on amending returns. Don’t leave your money on the table for Uncle Sam. Claim that deduction. Most people who file bankruptcy don’t want anyone else to know. Some of my clients try to hide their break for financial freedom from friends and neighbors. Others are worried about their boss finding out. Occasionally, someone will try to keep it from their mate. But trying to hide his bankruptcy nearly cost one client $103,000! Because he hid his bankruptcy filing from his accountant. When my client got his bankruptcy discharge, stripping off the junior lien on his house, the mortgage lender dutifully sent him a form 1099. The tax form correctly reported that $288,000 of debt had been forgiven in the last tax year. That will be an extra $103,000 in tax, due and payable on April 15th. Only, once the tax preparer got the news about the bankruptcy filing, it wasn’t so. A discharge in bankruptcy is the first exception to the standard tax rule that debt that is forgiven is treated as if it were cash income. When the discharge occurs by reason of a bankruptcy case, the discharged debt is not taxable income. Responsibility for connecting the dots on discharged debt falls to the debtor/taxpayer. The creditor whose debt has become worthless is obligated only to report to the IRS that the debt has been forgiven, as a matter of law. The creditor generates a 1099 form, without comment on the circumstances. Yes, the debt was discharged; but, no, the discharge didn’t increase my taxable income. The “because” is the discharge in bankruptcy. Had my client told his tax preparer upfront about the bankruptcy, he could have avoided several hours of intense stress. Retired and living with family, he probably doesn’t have $103,000 in net worth, much less that kind of money sitting around for Uncle Sam. I’m an advocate for openness about bankruptcy. It’s not shameful nor the mark of failure. If everyone who had filed bankruptcy admitted it, those who are now struggling with the decision to file wouldn’t feel like they are the only ones who ever chose bankruptcy rather than perpetual debt. But regardless of whether you’re willing to share with others the fact you’ve filed bankruptcy and gotten a fresh start or not, share the facts with your CPA. In a duel between a Form 1099 and a bankruptcy discharge, bankruptcy wins every time. The prize? no tax on debt discharged in bankruptcy. So, if you’ve already gotten your discharge, the creditor’s 1099, with your social security number on it, is no threat. But you do need to file another form to secure the prize. Normally, when an obligation is forgiven, the tax code treats the amount of forgiveness as if it were income. And income is exposed to tax. But forgiveness in bankruptcy in the first exception to the rule. Debt forgiven in bankruptcy is not treated as income. So, if bankruptcy is outside the IRS rule, why are you getting a form 1099? Because there’s another rule, requiring creditors to report to the IRS, just the way your employer is required to send the IRS your W-2. And seemingly, the creditor can’t figure out that the reason its claim is worthless is because of the bankruptcy discharge. So it’s easier for the creditor to just send out Form 1099, and make it your problem. The solution is simple: file IRS form 982. Form 982 is your rebuttal to the report that you have taxable income because your debt was forgiven. Check the very first box on the form claiming the bankruptcy exception. The IRS provides a set of instructions for filing your “get out of tax” form. Form 982 Instructions. If you have real property, you may have to reduce your basis in assets by the amount of debt discharged in your bankruptcy. But thankfully, there is an exception to this rule too: no reduction in basis is required with respect to your principal residence claimed exempt in your bankruptcy case. IRC 1017(c). So there you have the skinny on form 1099 and your bankruptcy discharge. When it’s tax time, questions about forgiveness-of-debt income are everywhere. Questions start when you receive a Form 1099 from a creditor. Debt forgiven in bankruptcy is not taxable. Lenders and debt collectors believe themselves bound to send out a 1099 whenever they handle a transaction that may implicate cancellation of debt. They aren’t rendering an opinion on the tax treatment of the event. They are just reporting it to the IRS. Receipt of a 1099 is not the final word on the topic; it’s only notice that the transaction in question has been reported to the IRS. The standard rule is that debt that is cancelled is treated as though you had received that much cash, and that pseudo-cash is treated as income. And, if it’s income, the IRS thinks it’s taxable. discharge of the debt in bankruptcy. You have to file an IRS form to rebut the 1099. It’s form 982 and right at the top are the boxes to check to invoke the exceptions. The form also includes a worksheet to see if you are insolvent for the purposes of this provision of law. Remember, too, that if you did not have personal liability for the debt, the cancellation of that debt is not even forgiven debt. There was no debt. 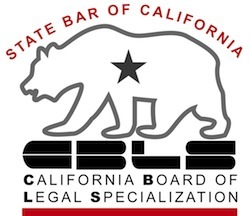 You may have no personal liability because of a previous bankruptcy or by reason of California’s anti deficiency laws. Also, there is special legislation dealing with cancellation of debt upon loss of a primary residence, excluding phantom income from qualifying transactions.